Angel Beats! 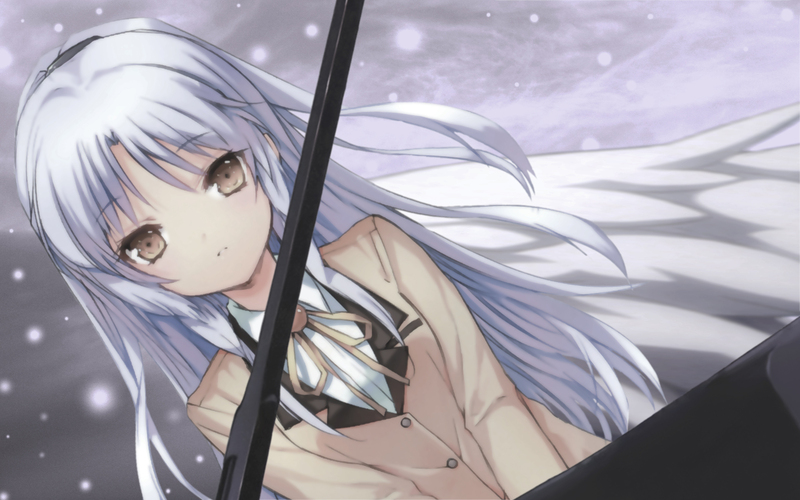 Wallpaper: Angel Beats !!! Minitokyo »	Angel Beats! Wallpapers » Angel Beats! Wallpaper: Angel Beats !!! Browse Angel Beats! Gallery: Recent | Popular. This is such an emotional wallpaper and I say your extraction is quite nice but can be further improved. It has this emotional factor but I think it lacks the colors and contrast. I dunno why but I kind find the lines blurred and smudged? (not too sure if you used smudged though) keep it up! Very nice wallpaper, like it very much! the color looks so original nice one. She is so cute. Nice wallpaper. is that a gun in middle of it? Oh! So sweet, cute and I LOVE IT! My congratulations for your great job! And thanks!